Since July 2016, I have been the instrument repair technician at The Crane School of Music, State University of New York- Potsdam. I also own and operate a professional clarinet shop out of my home called North Country Winds, which I started in September of 2016. Prior to moving to Potsdam, I was the general manager of Bridgepoint Music in Menlo Park, CA from 2012-2016. Prior to that, I worked at Maytan Music Center in Reno, NV from 2008-2011. At Crane, I have no specialty. In that job, I am required to be a generalist. I repair everything except the pianos. That is one of my favorite things about the job. It is a nice mix of woodwind, brass, string, and percussion repair. There is never a dull moment, and I never get in a rut. I oversee about 1200 instruments. I could be repairing a viola one minute and a tuba the next. 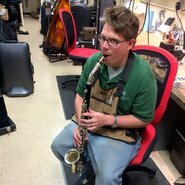 The first five instruments I repaired today were a clarinet, upright bass, trumpet, piccolo, and saxophone. When I’m done with this interview, I’m going to work with one of our trumpet professors on boring out mouthpieces. I even teach a course on instrument repair for music educators. The variety keeps the job very interesting, and playing my role at one of the top music education schools in the country is very rewarding. On the other hand, North Country Winds is definitely a clarinet specialty shop. 90% of my work there is professional clarinets. 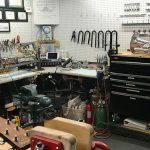 Symphony musicians, college professors, and college students from around the country ship me their clarinets for repair. 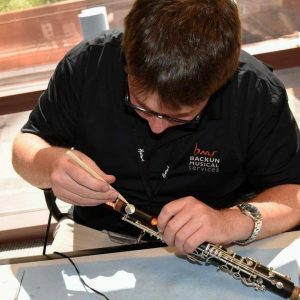 NCW also handles the United States warranty work on Backun clarinets. Occasionally I will get other instruments, such as brass instruments in for ultrasonic cleaning from local clients, but I’m almost always working on clarinets there. Once, while stuck in San Francisco gridlock traffic with Ricardo Morales, he told me to imagine what it was like before shoes were invented. And then, imagine that the left shoe was invented. So, everyone started putting left shoes on both of their feet, and they were quite happy to do so, because it was a huge improvement over no shoes at all. Living in this golden age of foot-specific shoes, this of course seems crazy to us. Ricardo was referring to clarinet manufacturing, but I find this to also be an excellent metaphor for the repair world. I really took this story to heart, and I have used its message as the foundation for my repair philosophy. Many musicians settle for the repair equivalent of two left shoes. This might have been cutting-edge technology many years ago, but band instrument repair technology has continued to advance. 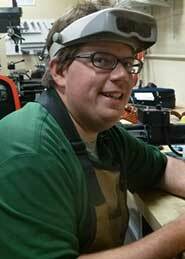 I use microscopes and borescopes for inspection, ultrasonics for cleaning, and carbon fiber for crack repair. I am certainly not the only technician embracing technology to this degree, but there are not as many as there should be. I would encourage musicians, especially professional performers and educators, to seek us out. MusicMedic sax pads are my jam. 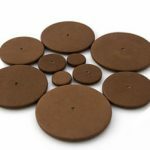 The standard tan pad with domed plastic resonator is my go-to pad for “everyday” work. Like all MusicMedic sax pads, they are consistently high quality, easy to order, and ship free. For professional saxophone overhauls, Chocolate RooPads have become my favorite. When I was at Bridgepoint, I stocked Saxgourmet pads in the typical G#/Low C# sizes, to quickly eliminate sticking problems with little-no downtime for the client. I plan to do the same at Crane, as I continue to build up the shop. A tip on repair itself- Lubricate woodwind springs. All of them, not just the flat springs. 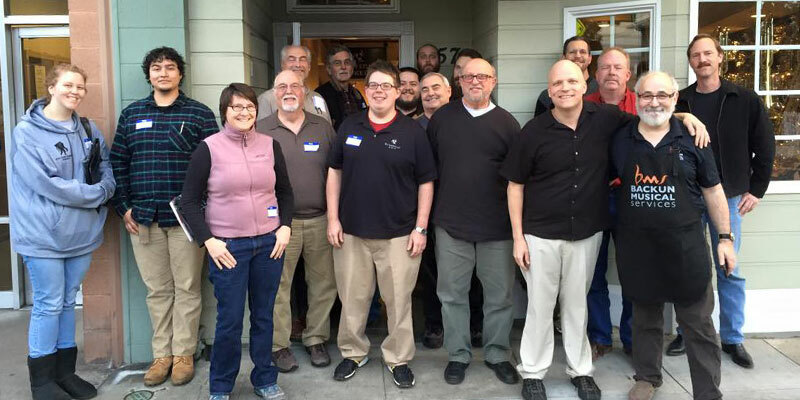 A tip for technicians in general- Join NAPBIRT and get involved, by attending every event you possibly can, meeting and learning from as many fellow technicians as you can, and sharing what you know by presenting clinics and writing articles.